Seated in the Laurentain Mountains of eastern Canada, Mont-Sainte-Anne is a world-renowned ski resort half an hour’s drive from the city of Québec. Outside ski season, the region is a popular destination for hiking, mountain biking and camping. The fall colors of the surrounding forests, as well as the beautiful mountain vistas and deep canyons will provide a picturesque setting for the Feast of Tabernacles this year. Prior to the Feast, a Sabbath service will be held at Château Mont-Sainte-Anne on Oct. 12. 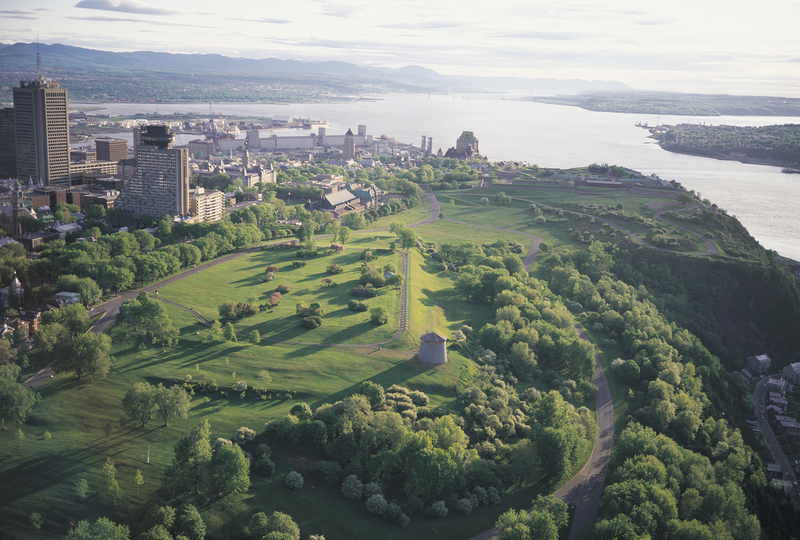 While the resort and the nearby town of Beaupré have their own charm and unique offerings, Mont-Sainte-Anne’s proximity to Québec City will allow easy access to some of Canada’s most frequented historical and natural wonders. Old Québec, the historic heart of Québec City that dates back to the 17th century, is full of surprises around every corner, including restaurants, shops and historic sites. 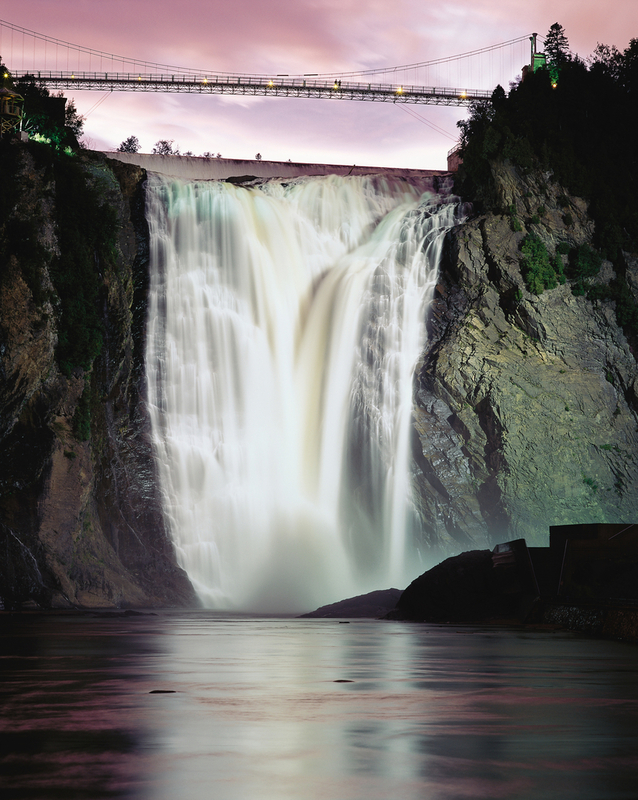 The nearby Montmorency Falls stands a full 99 feet higher than Niagara Falls. A cable car ride, a suspension bridge over the falls, and a long staircase to the base of the falls are just a few of the ways one can experience this stunning cascade. 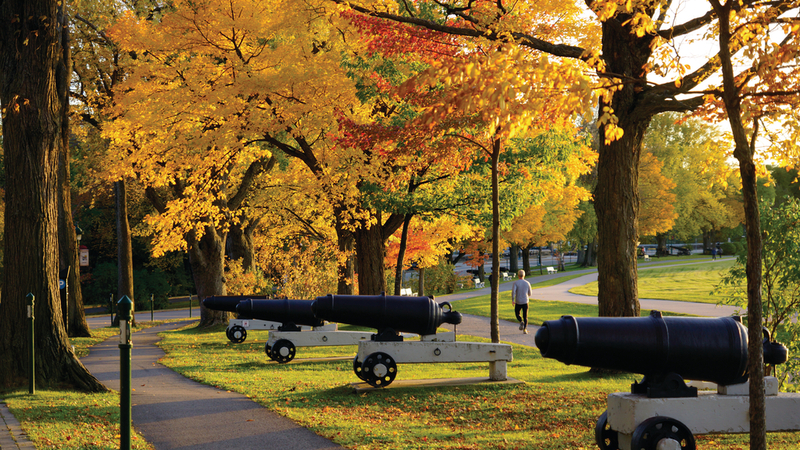 The Plains of Abraham battlefield, as well as other historic sites in and around Québec City will allow you to explore the history of the Canadian province of Québec. Mont-Sainte-Anne will not be an all-inclusive site, but our main hotel and conference center, Château Mont-Sainte-Anne, has an on-site restaurant and discounted rates for our group. The hotel offers several types of rooms, suites and condos to match your accommodation needs and budget. Some room types include kitchenettes while the incredibly spacious condos include full kitchens. A handful of local restaurants and grocery stores are within a short drive. There are also plenty of off-site housing options nearby that can be booked through popular online websites. If there is enough interest, we will arrange shuttle service from the Québec City Jean Lesage International Airport (YQB) on Sunday, Oct. 13 and on Tuesday, Oct. 22. Prices for airfare to YQB from several major cities in the U.S. are currently around $300 to $600. Services will be held in English and in French, alternating each day between the two languages, with translation available. We hope you will join us this year to keep the Feast at Mont-Sainte-Anne! To register to attend, please use the standard Feast registration system. If you have any questions or are considering spending the Feast in Québec this year, please contact Daniel Harper at daniel.harper@cogwa.org. Closest airport: Québec City Jean Lesage International Airport (YQB), 57 km (35 miles).